GAZA (Analysis) — On Monday, October 30, Israel fired five missiles at a tunnel under construction in Gazan territory east of Khan Younis. Seven Palestinians were killed and nine wounded during the attack. 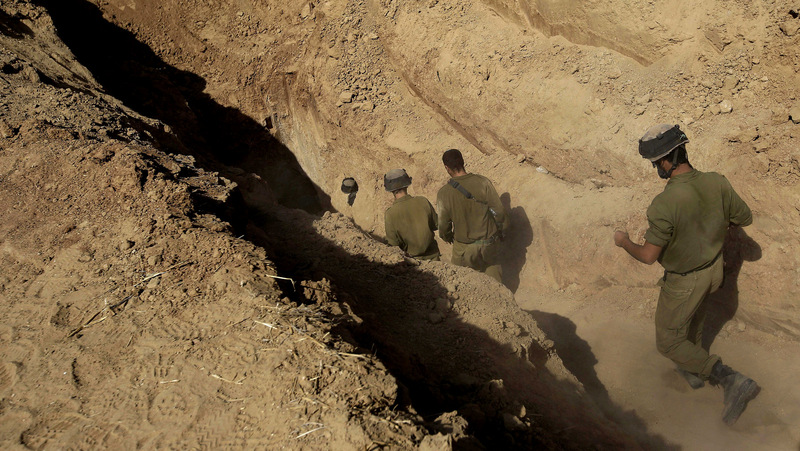 Israel asserts that the tunnel had reached the Israeli side of the perimeter wall it has built around Gaza, but it attacked the tunnel on the Gaza side, thus resulting in the 16 casualties. Since Israel has provided no proof that the tunnel had actually reached Israeli territory, the analysis that follows looks at either possibility. In the first case, if the tunnel did not reach Israel, the tunnel would then be a defensive battlement. While Israeli propaganda mislabeled these structures as “terror tunnels” during its assault on Gaza in 2014, the tunnels were actually a very valuable asset for a defensive response to the Israeli invasion. During Operation Protective Edge, Israel unloaded its full arsenal of airpower, tanks, artillery and naval batteries against a defenseless population. The Palestinians had no such heavy weaponry and no effective defenses against Israel’s firepower. The military wing of Hamas, the al-Qassam brigades, were able to use a tunnel network to evade the massive bombing and then attack Israeli troops and mechanized armor using close-in fighting. This negated Israel’s ability to massively shell Palestinian fighters. As Max Blumenthal noted, the tunnels played a large part in the Palestinians’ ability to inflict military casualties, killing 67 Israeli soldiers during Operation Protective Edge. This would explain Israel’s interest in destroying the tunnels. Such casualties, even if relatively light in comparison to the Palestinian loss of 2,251 lives, are not acceptable to the Israeli public. Further, even after the three murderous assaults on Gaza in 2008-9, 2012 and 2014, the Israeli leadership is expected to launch still another assault going forward. Yet there is one rather significant problem with this week’s attack. It is an act of war during a supposed ceasefire. Again, assuming the tunnel did not reach Israeli territory, the Palestinians have every right to build defensive battlements on their territory. That the tunnel may cause future Israeli casualties should there be another assault on Gaza does not justify Israel’s attack during a cease-fire. Israel’s attack on a defensive position in anticipation of a future conflict is actually the first strike of such a conflict. It is an offensive attack encompassing an unprovoked act of military aggression to reduce the Palestinians’ military preparedness. Therefore, Israel’s action is the launch of an offensive war, which is a war crime. Zionist supporters will argue that Israel has a right to defend itself and point to the Israeli allegation that the tunnel had reached the Israeli side. Examining this possibility then begs the question, if the tunnel did reach Israeli territory as alleged, what is the correct response? Clearly, with the knowledge of the tunnel’s general location, Israel could have used its own heavy equipment to dig into and expose the tunnel, thereby rendering it useless. Such an act of self-defense would not have required an act of aggression on foreign soil. At the same time, such exposure would have provided a PR bonanza for Israel, showing the world the definitive proof of Palestinian aggression. It is further worth noting that Israel is currently working on a construction barrier to surround Gaza. Changing the location of their current work to the location of the tunnel would also have effectively countered the this alleged incursion. 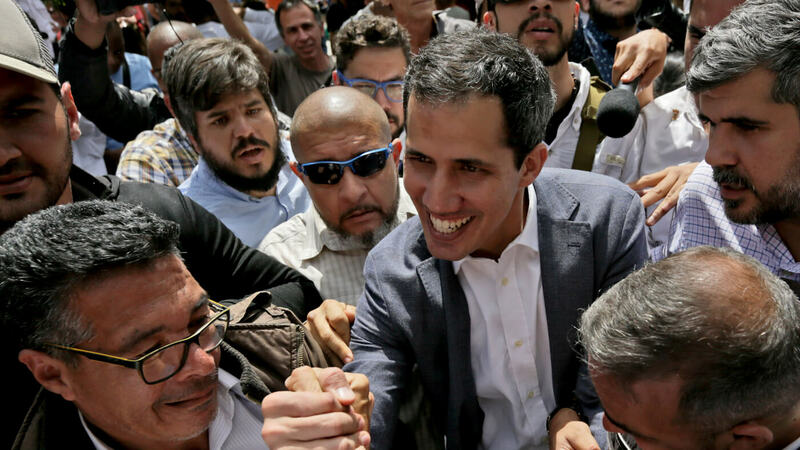 Another option would have been to follow the precedent set by Egyptian President Abdel Fattah el-Sisi after he took over the Egyptian government. After taking power, Sisi flooded the tunnels providing a lifeline of goods to Gaza, thereby tightening the grip of Israel’s complete blockade. Israel could just as easily have flooded the tunnel from its side of the perimeter wall; a justifiable defense had the tunnel indeed reached Israel. Therefore we can reach either one of two conclusions. First, that the unproven Israeli allegation of the tunnel reaching Israeli territory is false. Or second, Israel ignored a number defensive options that would not have required an attack on foreign soil and loss of life. In either case, this act of war in Gaza was unnecessary. Yet given the less belligerent options available to the Israelis, why would they choose to initiate another conflict? Therefore the Israeli choice of action served a marketing purpose. Observers will not be surprised when this “breakthrough technology” is marketed for sale at the next global weapons exposition. Beyond restoring its deterrence capacity, Israel’s main goal in the Gaza slaughter [of 2008-9] was to fend off the latest threat posed by Palestinian moderation. For the past three decades the international community has consistently supported a settlement of the Israel-Palestine conflict that calls for two states based on a full Israeli withdrawal to its June 1967 border, and a ‘just resolution’ of the refugee question based on the right of return and compensation. Pat Boone, Why Do You Hate America’s Freedom? After the Israeli attack that killed seven Palestinians, Finkelstein concluded, “Hamas predictably resumed its rocket attacks ‘in retaliation’ ([according to the] Israeli Intelligence and Terrorism Information Center).” Israel then initiated the murderous turkey-shoot of Operation Cast Lead. The PLO, headquartered in Lebanon, was strictly adhering to a truce with Israel that had been negotiated. In August 1981 Saudi Arabia unveiled, and the Arab League subsequently approved, a peace plan based on the two-state settlement. Israel reacted in September 1981 by stepping up preparations to destroy the PLO. “To fend off Arafat’s ‘peace offensive’- Yaniv’s telling phrase – Israel embarked on military action in June 1982. The Israeli invasion ‘had been preceded by more than a year of effective ceasefire with the PLO,’ but after murderous Israeli provocations, the last of which left as many as 200 civilians dead (including 60 occupants of a Palestinian children’s hospital), the PLO finally retaliated, causing a single Israeli casualty. Israel relied on another assault to halt a “peace offensive” in 2014. In June of that year, Israel used the kidnapping and killing of three teenagers in the colonized territories of the West Bank to justify arresting over 500 members of Hamas — even though it knew the Qawasmeh clan, responsible for the violence, did not follow Hamas orders. Further, Israel launched a campaign to bring home the boys, even though it knew the three boys were dead within 24 hours. In essence, Israel used the triple kidnap and murder to falsely justify an act of collective punishment by its colonizing army. A Palestinian brother and sister walk in front of a building which was destroyed in Israel’s 2014 bombing of Gaza. Still, the roundup of Hamas members in the West Bank did not prompt a response from Hamas in Gaza. With Hamas not taking the bait, Israel initiated the conflict with Gaza. While covering a National Lawyers Guild report on Operation Protective Edge, Electronic Intifada stated, “Israel’s air and ground attacks on [Gaza] preceded any rocket fire from Hamas.” Hamas’ answering rocket fire, however, gave the IDF the cover it needed in the Western mainstream media and the vicious assault began. 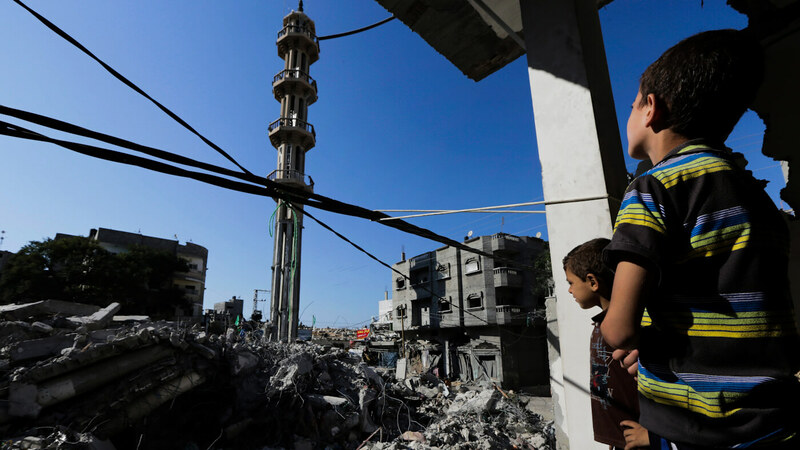 Operation Protective Edge left 2,251 Palestinians dead and billions of dollars of infrastructure and homes destroyed. The magnitude of loss and destruction was not surprising since the amount of Israeli ordnance fired at the tiny and tightly confined area was equivalent to one of the atomic bombs dropped on Japan. Perhaps the more important point for comparison though is that the brutal and excessive collective punishment came shortly after Hamas and Fatah signed a reconciliation agreement on April 22, 2014 and formed a unity government on June 2. It is no mere coincidence that Hamas and Fatah just reached a unity deal on October 12 of this year as well. One nation openly attacking another on the latter’s territory would create a crisis anywhere else in the world. Not in Gaza though. Somewhere in the UN Charter or the Geneva Conventions there must an exception for Israel’s repeated aggression against Palestinians. Otherwise, how is it that the West effectively remains silent after every violent provocation Israel or its citizens commit against an indigenous people? Only Israel is not defending itself. Israel routinely commits provocations — acts of war — to prevent peace.